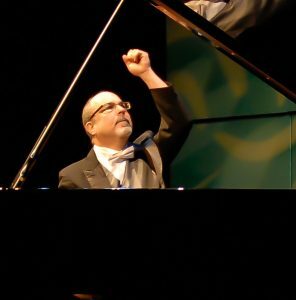 Saturday • February 1, 2020 • 7:30 p.m.
Norman Krieger, internationally-celebrated American pianist, performs the most poetic of Beethoven’s piano concertos. The concerto is imbued with other-worldly beauty that is simply entrancing. The Phil shines in Shostakovich’s amazing Symphony # 5, that features deep emotion, hair-raising climaxes, and one of the most glorious and powerful conclusions in all of music.